Drive sprockets typically last the life of two chains. Another fact to remember is that warn drive sprockets can ruin a new chain within a couple hundred miles. MAINTENANCE ITME ON POWER SPORTS VEHICLES? to check your air filter on you pre-ride inspections, it may save you in the long run! Running in shallow water, (under 2') could case engine to overheat; since the jet pump forces fresh water through the cooling system, to cool the engine and exhaust. Not to mention sucking up sand and stones will damage the pump and impeller. Did you know that you will lose 2-5lbs of tire pressure during the winter storage months? If you ride (or have a loved one that does), please remember to check your tire pressure before you hit the open road. Under-inflated tires can be dangerous for you and your passenger. 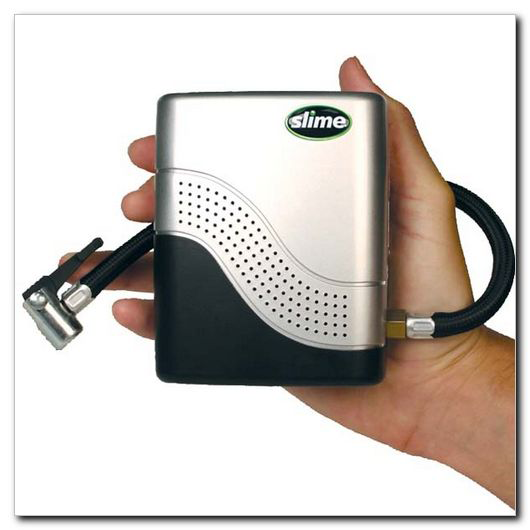 We use and recommend a mini air compressor from Slime to stay as safe as possible the entire season. We're offering them for only $42.95 until 5/31/15. Call Justin today to order yours! (231) 220-2101 & receive FREE SHIPPING! Did you know that the #1 cause of battery failure is from prolonged storage with little, to no charge in the battery? If you are looking to double the life of your power sports batteries, we suggest to use a battery tender for any period of prolonged storage over a 30 day period. We recommend C-TEK MUS 4.3, a universal battery charger. When you talk to Justin, ask how to receive FREE Shipping with your order. Did You Know The Service Interval of Antifreeze is 2 Years? As a friendly reminder we would like to remind you to check your antifreeze. The average service interval of antifreeze is two years, we recommend to drain and fill your cooling system with extended life antifreeze to extend the service interval to 5 years.